Grand Theft Auto V is an iconic action-adventure game that takes you to a world of organized crime. Become a nightclub owner. It will serve as an ideal cover-up operation for your illegal activity as a mob boss of San Andreas. Play GTA V online now. 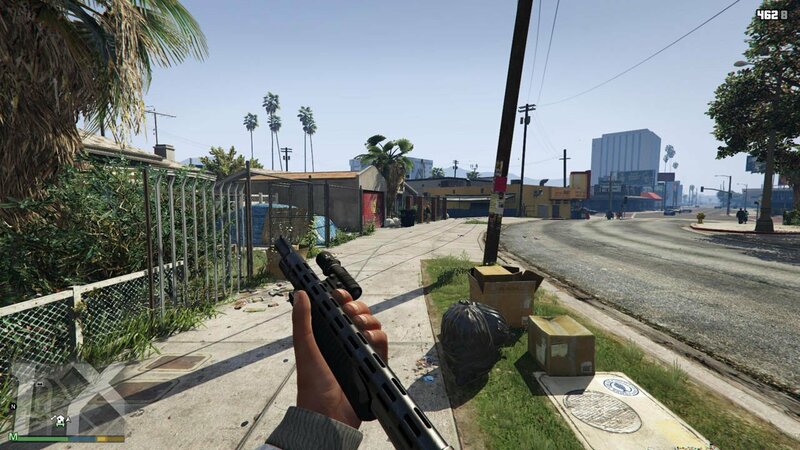 Grand Theft Auto V is an iconic action-adventure game that takes you to a world of organized crime. Become a nightclub owner with the help of legendary impresario Tony Prince. Invite famous DJ’s Solomun, Tale Of Us, Dixon and Black Madonna to help you get the party started. It will serve as an ideal cover-up operation for your illegal activity as a mob boss of San Andreas. 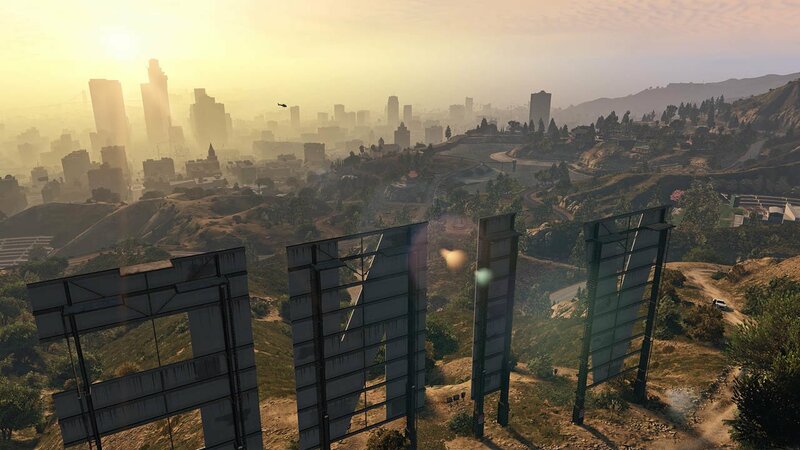 Grand Theft Auto V will let you see the vast world of Los Santos and Blaint county. The fate of the young criminal, old robber, and a crazy psychopath will lay in your hands. Characters will be mixed into gang wars and governments conspiracies. To survive in this world of crime you will have to use all your skills and instincts. Ready to be a boss of San Andreas? Play GTA 5 online now! How to play GTA V? You can play from either a third person or first-person perspective. To travel, you will use various awesome vehicles or move around on foot. As a player, you control three lead characters and switch between them during the mission. The story revolves around the robberies sequences. You will take part in shootings, car chases and more in this immersive gameplay. If you commit a crime the police will search for you and put you on a wanted list. You will have to hide and run from the law. You will complete missions or linear scenarios with a set goal to complete the story. Outside of missions, you can do what you want. 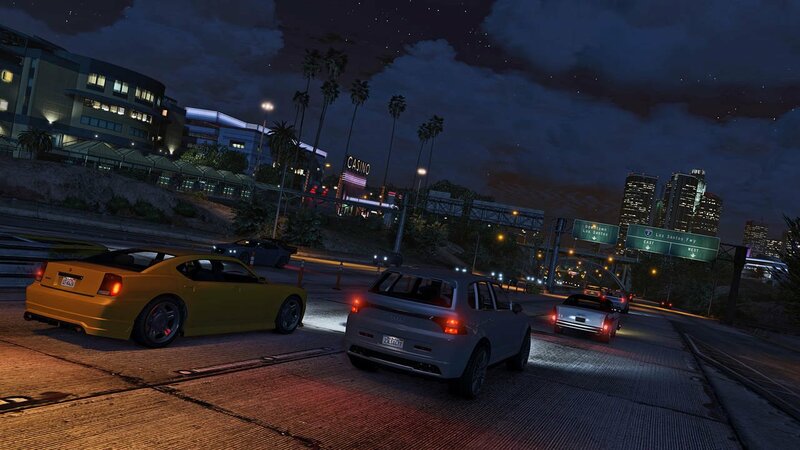 Take your time to travel around Los Santos and cause some mayhem! You can play not only by yourself. but also play Grand Theft Auto V online in a multiplayer mode. With up to 30 players you will engage in various cooperative and competitive game modes. With GTA V you may as well use Rockstar editor that is called the director's mode. You can create your own movies using characters that you know from the main plot of the game, pedestrians, and even animals. You can also add your own soundtrack! If you ever dreamed of being a filmmaker and create your own movie you can now do it with characters from GTA V! Is it free to play GTA V online? To play GTA online you first have to buy the game on Steam. You can also subscribe to Vortex for only 9,99 $/month to enjoy online GTA 5 gameplay on every platform: PC, mobile and smart TV. How to play GTA online? GTA online has never been that easy. You only have to, as mentioned above, buy the game on Steam and subscribe to Vortex to play online everywhere and on every platform. Is GTA 6 coming out? There is no official information at the moment. Rumors say there will be a GTA 6 and you will be able to play as a female protagonist. Is GTA 5 online the same as GTA 5? If you have a GTA 5 on Steam and use Vortex you can play online in a single player mode or in a multiplayer the same way as on a PC. Can I play Grand Theft Auto 5 on a mobile phone? Yes, you can! If you subscribe to Vortex you will be able to play GTA 5 mobile and on any other platform. Vortex is a service that provides you with cloud gaming on every device. You don’t have to own an expensive gaming laptop or console. You can subscribe to our platform and play online on your phone, computer, tablet or TV. The best quality of the game is guaranteed by our servers that do the heavy lifting for your device. Because of that, you can play even on your phone while riding the bus. 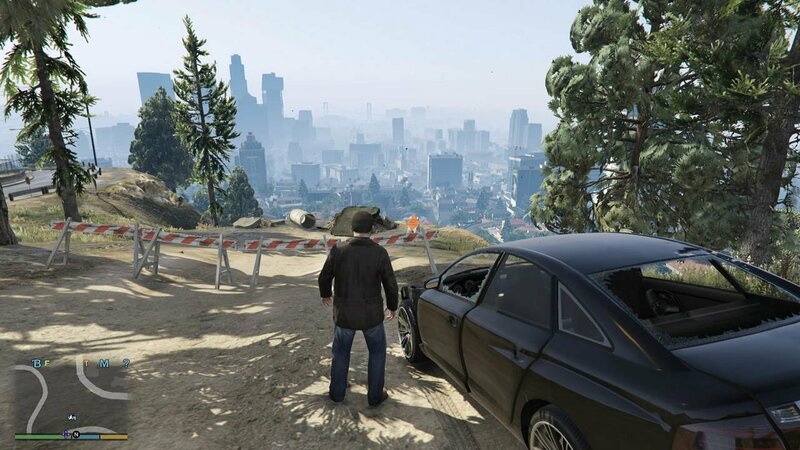 To play Grand Theft Auto V (GTA 5) you need to own it on your linked Steam account.